The cheekbones are more sharply defined, the hair tinged with grey. 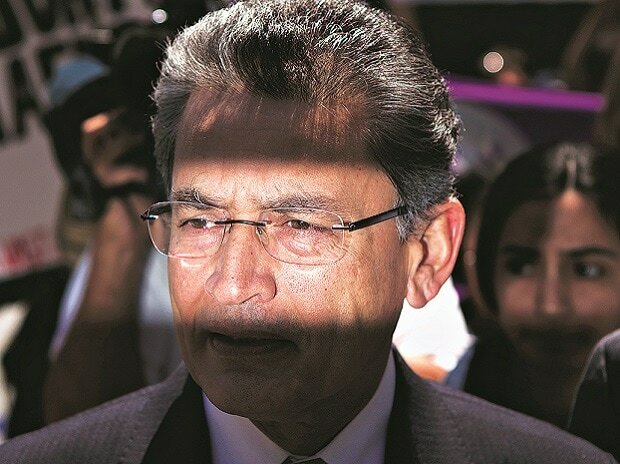 Those could be signs of natural ageing for Rajat Gupta, 70, the first Indian Managing Director of McKinsey, rather than the result of 17 months in prison for insider trading. The real difference is that Gupta, trim and dapper as ever, is far more forthcoming an interviewee than he was in the early 2000s. Then, at the height of his powers, even innocuous questions about his creation, the Indian School of Business, yielded non-committal answers. Now, out of prison since 2016, he has plenty to say: Principally, that his conviction for insider trading in a scandal involving the flamboyant Sri Lankan-origin hedge fund manager Raj” Rajaratnam was a miscarriage of justice. The result is this memoir, Mind Without Fear, the title drawn from the much-quoted English translation of a poem by Rabindranath Tagore. For someone whose life story was a model of the Great American Dream – an Indian of modest means who rose to the highest circles of politics and business, mingling with the White House and Davos crowd – his indictment in 2012 marked a stunning fall from grace. Many ascribed it to the hubris of the rich and powerful. But as Gupta writes ruefully, the critical error of judgement on his part was to not tell his story. He never spoke to the press, those writing books on the subject nor, most crucially, did he testify at his trial. 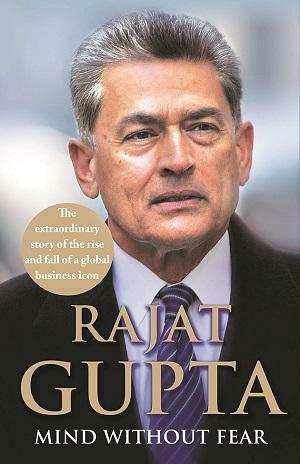 The burden of his readable autobiography, written with understated bitterness but no false sense of modesty, is that he was the victim of a justice system that was searching for villains to assuage public anger when none of the high-profile investment bank CEOs suffered for the global financial crisis they had precipitated. I saw the underbelly of the US justice system,” he says in a pre-launch interview to Business Standard. His book offers an interesting alternative insight into the storied US justice system, hinting at collusion between the justice department and the Securities Exchange Commission. And he is less than complimentary about Preet Bharara, then the famous crusading US attorney for the Southern District of New York. Typically, the prosecutors are political animals, so they’re all about winning at all cost, not finding the truth,” he says. Proving insider trading, he points out, demands three criteria: the transmission of market-moving information, criminal intent and a quid pro quo or meaningful benefit from the tip-off. The trial established that Gupta did not benefit from allegedly passing on information to Rajaratnam, whom he says he knew only on a professional basis. So poor judgement, maybe? A rush of blood to the head? Gupta’s specific defence is that phone calls, involving Goldman Sachs and Procter & Gamble, on which his convictions hinged, were made to inquire about the fate of a Galleon fund in which he had invested called Voyager; he had discovered Rajaratnam had closed the fund without informing him or paying him his due share. The fact that these calls were placed immediately after those board meetings Gupta ascribes to his ultra-hectic globe-trotting schedule as a high-powered consultant to Fortune500 corporations and a sprawling agenda of voluntary work, which the book describes in detail. As a consequence, he used the brief breaks between meetings to make calls. His September 23, 2008, call to Rajaratnam immediately after a Goldman Sachs board meeting (which he attended via a phone-in) approving a game-changing $5-billion investment by Warren Buffet, therefore, was one of many he had made to follow up on his Voyager investment, he says. The call lasted less than a minute. It was, according to phone records, the only call on Rajaratnam’s direct line (which was not tapped at the time) that day. After that, Rajaratnam called an aide into his office, who reappeared minutes later on the trading floor shouting, Buy Goldman Sachs”. Four minutes before the New York Stock Exchange closed, Rajaratnam bought $25 million worth of Goldman stock, the value of which soared after news of the Buffet investment broke. The circumstantial evidence was strong, was it not? Gupta offers a similar explanation for an October 23 call following a Goldman board meeting called to discuss laying off 10 per cent of its staff. The morning after, Galleon dumped a hefty amount of stock. In his book, Gupta writes that the information about the lay-offs had been leaked to the Wall Street Journal before the board meeting. …[I]n this instance, Rajaratnam didn’t need an insider at all to have known that dumping the stock was a wise move – the leak had made that clear”. Gupta does, however, recall the contents of a January 9, 2009, call following a P&G audit meeting to discuss declining sales growth. He says Rajaratnam asked him to call. When he did, it was to be told that the Voyager money was gone. After that, Galleon shorted a chunk of P&G stock but Gupta says he was not the source of this information. In fact, that was the last time he spoke to Rajaratnam – he was to meet him later in prison, where they played the occasional game of cards, chess or scrabble. As he points out, Rajaratnam, who was sentenced to 11 years in prison, was never charged on the Goldman or P&G transactions. So why was I the centrepiece of his case? The prosecutors were trying to get it out into the press because I was more visible and well-known.” Rajaratinam later also told Gupta that federal agents had come to prison to persuade him to testify against Gupta, which he refused to do. With a counter-narrative like this, why didn’t Gupta take the stand? Partly on the advice of his lawyer, the highly-regarded litigator Gary Naftalis, who suggested that doing so would be naïve and stupid”. And later, having witnessed the prosecutors at work, his wife, too, advised him against doing so. With unchecked powers and resources and unbridled access to the media, prosecutors can manipulate witnesses,” he says. He described how two former McKinsey colleagues, Pramath Sinha and Ashok Alexander, were subjected to FBI questioning when they came forward as character witnesses. (These facts are not in the book but Sinha confirmed them, saying there were no direct threats but the tone of questioning was intimidating; ultimately, he says, only Alexander was able to testify, because the judge chose to drag out the prosecutorial process).